You will earn 6,524 Reward Points. Earn 1 reward point for every 1 dollar spent. 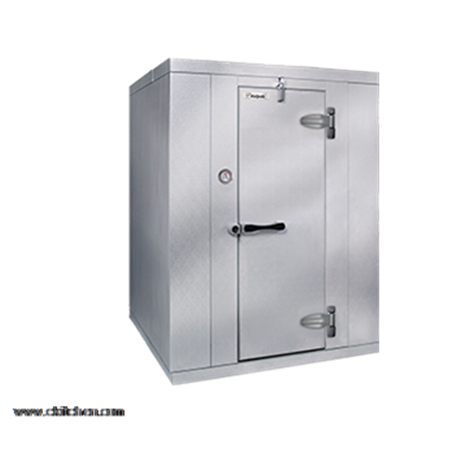 The Kolpak KF7-812-CR Walk-In Cooler is a versatile, durable indoor/outdoor remote unit with a .100 smooth aluminum floor. It features a 26 ga. embossed galvalume interior & exterior, as well as a 2" dial thermometer providing complete control over the internal temperature of your cooler. This unit is 90 inches tall, 93 inches wide, and 139 inches deep.